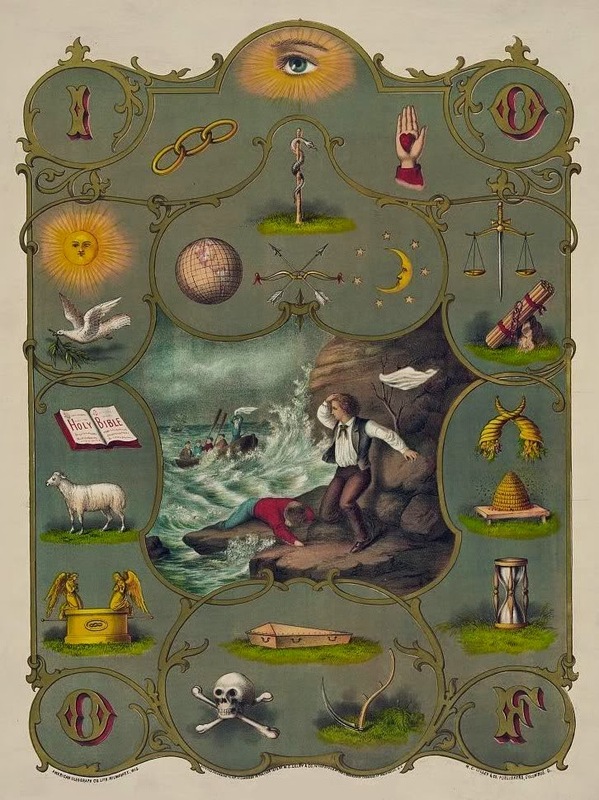 The Midnight Freemasons: Are The Odd Fellows Part Of Freemasonry? Excellent article, thanks! 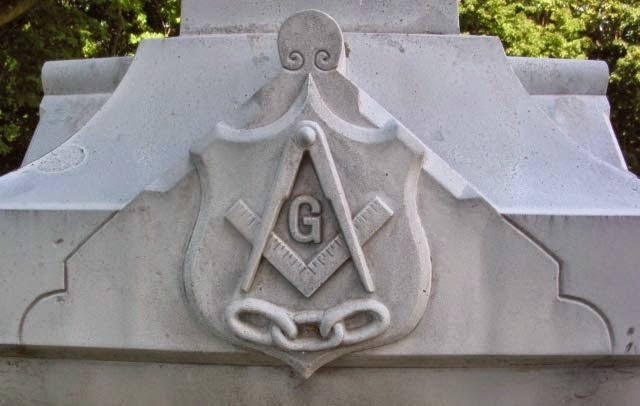 I have seen IOOF on tombstones often however I have also seen IOS which I've been trying to track down. Do you or anyone else reading this article know what organization IOS stands for? Great article! I think a lot of those symbols have been in use by organizations since, who knows...Mesopotamia, even. One can find scales and eyes on Egyptian hieroglyphs and when one looks at alchemy, the symbols really go wild. So, who knows? That looks like what I'm looking for. Thanks RW Brother Kleiner! It took a bit of research, but it sounds like you're referring to the Knights and Ladies of Honor, a splinter group of the Knights of Honor, a defunct fraternal society. Its founder, Dr. Darius Wilson, was a Mason and an Oddfellow. Its origins are entrenched in a few other workmen organizations, namely, the Order of United American Mechanics, and Ancient Order of United Workmen. You can read more on Wikipedia. My research indicates the K of H and the K & L of H are completely defunct.
. I could not stop going out and rendering aid to those who were in need. I did so to the point of great personal sacrifice and damage. I gave what I felt my simple duty called for. And when there was nothing left I found the odd fellows. A whole brother and sister hood devoted to what and who I am. When I felt all alone. And at the end of the cave. I found em. And the showed me that life is not a cave. It's a tunnel. And... one should always strive to make any good man woman or child better. For what else is there to do. Thank you for your time. My mother recently passed down an old Odd Fellow medallion to me. It was originally my Grandmothers Great Great Uncles. 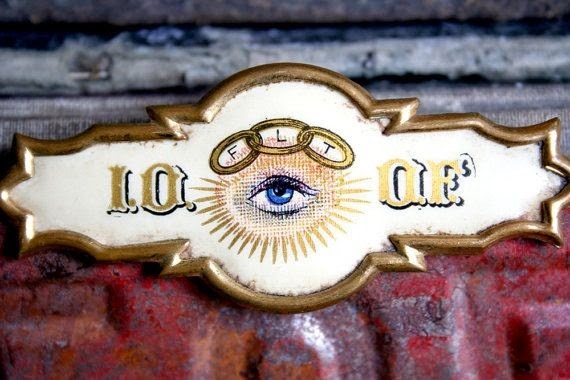 They thought it was Masonic but with a little research I realized it was from the Original Order of Odd Fellow in England previous to the IOOF. One thing I can't decipher on the Medallion is "A.N.U" can anyone tell me what this may represent. I can send pictures of the Medallion if that helps. How can I find out if my Grandfather was in the OOOF? Three of the contributors to the Midnight Freemasons blog recently joined the Odd Fellows (myself included). I'm sure there will be a little more on the Odd Fellows going forward. Thank you for this wonderful article. I know my Great Grandfather was a member of I.O.O.F. In his obit it says "I.O.O.F. ; Auburn lodge. K. of P.; the National Union (at Orting) and the M.W.A. at (Orting. ) When I searched M.W.A., I did come up with a reference to a current day home for veterans - as you stated above was part of the IOOF charity to create these homes. Can you tell me what M.W.A. stood for? Also, what is K. of P.? Knights of ? I haven't been abel to find anything on The National Union or the M.W.A. - but these may not be connected to I.O.O.F. Any help is greatly appreciated!